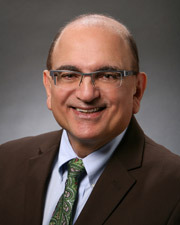 Lawrence P. Lataif, J.D., LL.M., has been practicing federal immigration law exclusively since he joined Jones Day in 1986 to organize and head its firm-wide immigration practice. Larry also headed the firm-wide immigration practice of McDermott, Will & Emery and has headed his own boutique immigration firm for more than 20 years. Among his noteworthy accomplishments, Larry conceived of the Religious Worker law and headed the legal team whose efforts resulted in the enactment of the current R-1 and religious worker law. In the recent years, Larry’s extensive publications have continued in the Palm Beach Post and Daily Business Review. In 2004, Larry was honored for his legal accomplishments as a recipient of the Ellis Island Medal of Honor.